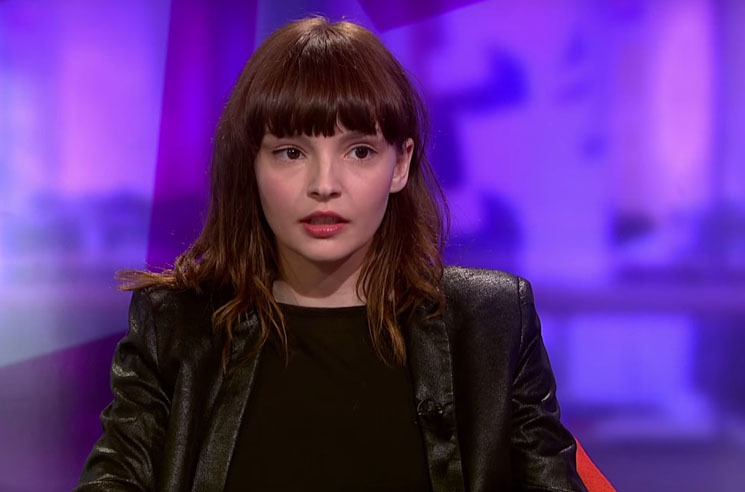 Chvrches frontwoman Lauren Mayberry has been fighting back against online trolls since penning an op-ed piece in The Guardian back in 2013. They've continued to rear their ugly heads, and Mayberry has continued to fire back, though another disgusting wave of disparaging comments came her way after the recent release of the band's "Leave a Trace" video. Now, a new video interview with the UK's Channel 4 News hears the singer opening up about the constant stream of online hatred that's been directed towards her. Acknowledging that the band have achieved a certain status of success and attention, she also points out that there is a difference between criticism and misogynistic trolling — and that it happens everywhere, not just to women in the public eye. "I don't think the 'just ignore it and it will go away' argument is working," she said. "It's scary, the idea of lawmakers coming in and sifting through comments and deciding what's acceptable and what isn't, and it's unrealistic to expect companies to do that." Instead, she believes that the onus is on society to change. "In my mind there has to be a shift in the cultural approach to women." Watch the the full interview in the player below.